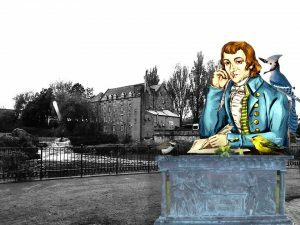 Listen as costumed actors give you an insight into the life of Alexander Wilson who was born July 1766 and brought up in Paisley at the Hamills, he was educated at Paisley Grammar School and apprenticed as a weaver. Alexander Wilson left Scotland in 1794 and arrived in Philadelphia where he undertook an epic journey on foot to Niagara Falls, observing, sketching and shooting birds. Alexander Wilson died 23rd August 1813 and is buried in Philadelphia. 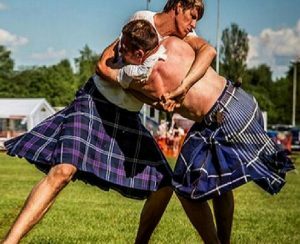 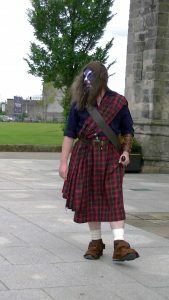 The Scottish Traditional Highland Wrestling have organised a wrestling team to show how Sir William Wallace would have taken part in displaying his strength in Highland Wrestling.